WACO, TX — More than 2,000 members of the Baylor community signed a letter asking the university to reconsider allowing an LGBTQ student group on campus. The 68-page letter addressed to President Linda Livingstone and Vice President for Student Life Kevin P. Jackson asks the university to reconsider its exclusion of student organizations that would provide a community for LGBTQ students. “We believe this request is reasonable and imminently necessary - especially in light of other student organizations and events that the University has approved,” the letter reads. 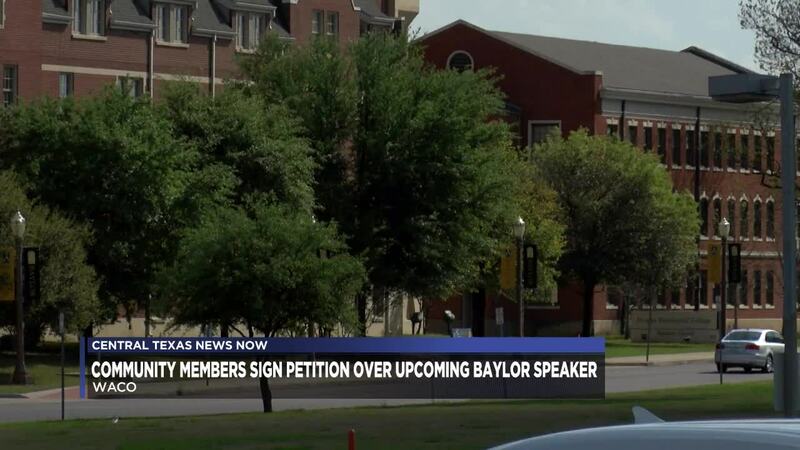 The purpose of the letter is not to petition Walsh’s presence on campus or remove the Baylor YAF as an official student organization, the letter reads. “Not all campus speakers or student groups will be popular, and we acknowledge that institutions of higher learning often seek to be a marketplace of ideas,” the letter says. The letter says its purpose is to point out the “fundamental unfairness” of the university's treatment of other student groups. “We see no basis for the University’s decision to allow the activities of groups such as Baylor YAF and speakers such as Matt Walsh and to simultaneously withhold approval from groups that seek to provide community for our LGBTQ students,” the letter states. The letter asks the university to reconsider their decision as it allows speakers such as Walsh. The letter was signed by more than 2,000 Baylor alumni, current and former faculty members, donors, committee members, ministers and students. As I reflect back over the past several weeks, our campus has struggled with demonstrating Christian hospitality while expressing different viewpoints. We know that once our students graduate, they will need to be equipped to handle difficult conversations or to face issues they may not agree with or that challenge our Christian beliefs. Baylor has grown to become a diverse educational institution – with students from all 50 states and 90 countries – where students experience people from a wide range of backgrounds and with differing opinions. Our campus should be an environment where we can learn how to respond to each other in a respectful, compassionate manner and to use challenging situations and discussions to share and reflect upon our own personal beliefs and core convictions. While Baylor is a university that supports and encourages free speech, we have an additional – and very important – responsibility as a Christian university, and that is to appreciate differing opinions and backgrounds in a respectful, compassionate manner that extends grace as Christ did. We may not always agree, but we are still the Baylor Family. And we all need to do better. Over the past several days, I have been in talks with several faculty members and leaders from across the campus on how we can develop a series of future forums or events where we can learn how to participate in civil dialogue, borrowing from some of the work that is ongoing through our Baylor in Washington program, which is hosting an event next week on rational disagreement and civility. Matt Walsh responded to the petition on Facebook on Monday. He said he is not a threat to anyone's physical well-being, and he explained his stances on controversial topics. "I'm still coming," he said. "See you there."